We are a tribe no? I'm waiting to see the worst, and see if we resort to being god-fearing cannibals. We worship blood and body parts of people before us, even though that's against christianity, so why not go one step further into cannibalism, like the movie The Road showed. I think we're already there, chief. Incidentally, I have not see The Road, but I just finished the book. Was the movie any good? I'm surprised that Jesus, himself, has not made an appearance as a user on this forum. Hmmm, i have a distinct feeling that it won't take long for HIM to appear. In religious fanatism the biggest problem are the elders. spend thousand of zlotys for priests and their selfish needs with this blind fate that "it all goes for the greater good". Eldery safe minimal minimum of cash and all the rest goes for the church. They live in a total shithole while those bastards enjoy the splendour of modern life. You see ! He never fails me that is why i worship HIM. Just a question: who is better of in this example. All parties get what they want, right? Best Delineation post ever. I almost clapped. 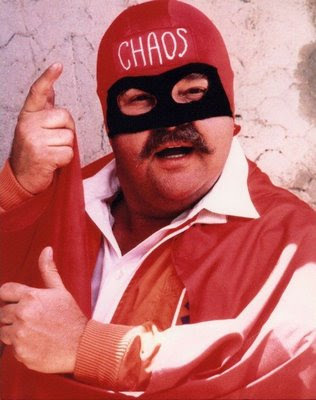 Oh, Hell no.... Captain Chaos. My parents are Jehovah's Witnesses.~~~ No, El, your argument will not wash with them. That group would agree with you, because there is a race amongst the protestant faiths to gain the crown, & they all dislike each other, but mostly their hate is rooted against catholicism. They cannot differentiate 'Life', as it is, against the constructs of biblical history.~~ The odd thing is that I bet my parents would love to have Tom over for dinner.- He would be 'worldly', but they would respect his willpower, intelligence, & talent. Missionary might have some pertinence to this discussion. In searching for the entry, I also stumbled across Friendship. ...but that is for another thread. In the Nietzsche words: The Bible's God and Satan are two abortions of the decadence. My parents were heavily reformed protestant and my arguments won't wash with them either.